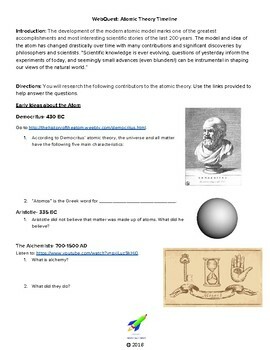 The first activity page has students work through a hands on modeling activity. 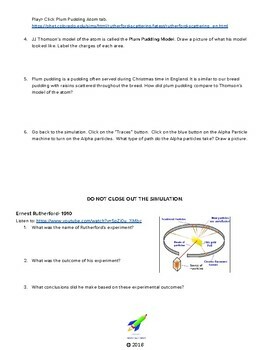 Then students use websites, videos, and simulations in order to answer key questions about the contributors to the atomic theory. 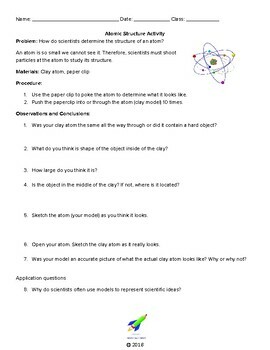 The final page of the document includes key vocabulary about atoms, elements, and compounds.